Nevertheless, like the World Cup 2010, I still support Germany!! 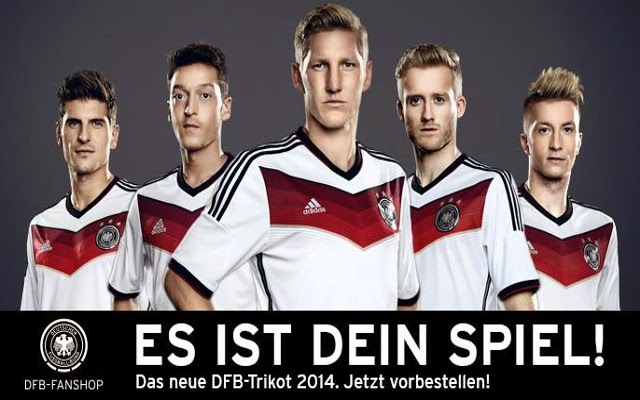 And I finally bought Germany's jersey this year's World Cup! 1st match : Germany vs Portugal!!! As of now, 3:0 Germany!!! Muller!!! Good thing I bought you in ftbl.bursamarketplace.com fantasy football. You sure now worth more than $11 million with 2 goals. GOGO Germany!! World Cup 2014 Brazil! !